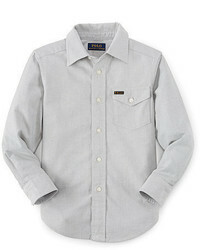 You'll have no problem tempting your child into wearing this combo of a Ralph Lauren cotton oxford pocket shirt and navy jeans. Beige loafers are a nice choice to finish off this outfit. 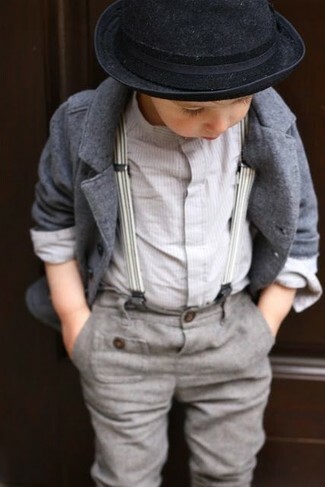 Suggest that your darling opt for a white long sleeve shirt and navy trousers to help him look like a true little gent. Navy oxford shoes are a savvy choice to finish off this style. 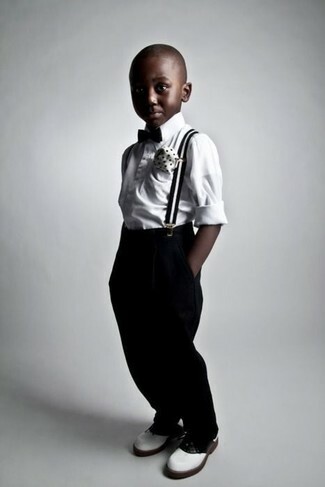 Your little man will love receiving compliments on his lovely appearance in this combo of a Ralph Lauren cotton oxford pocket shirt and black trousers. 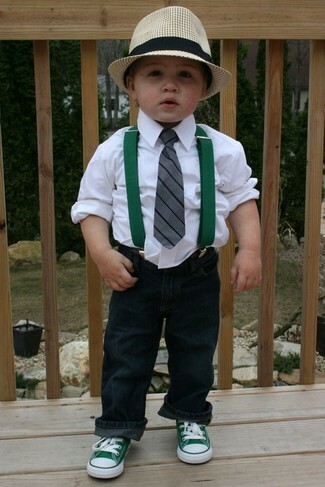 This getup is complemented really well with white oxford shoes. Suggest that your boy choose a Ralph Lauren cotton oxford pocket shirt and green-yellow jeans for a comfortable outfit that's also put together nicely. 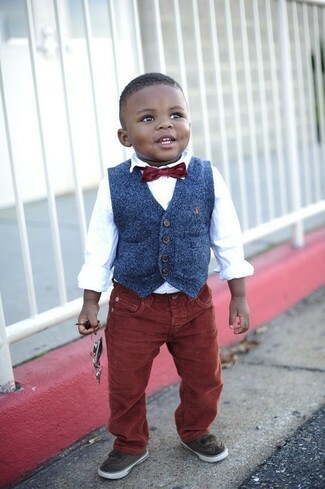 As far as footwear is concerned, suggest that your little man throw in a pair of grey desert boots. Pairing a Ralph Lauren cotton oxford pocket shirt with tobacco jeans is a comfortable option for a fun day with your little angel. 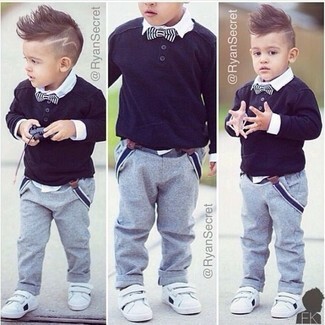 As for footwear your kid will love beige sneakers for this outfit. 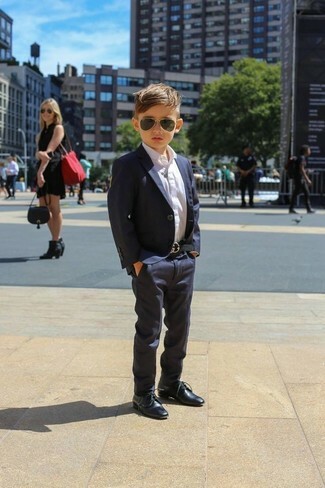 Suggest that your little angel wear a Ralph Lauren cotton oxford pocket shirt from Ralph Lauren with grey trousers for a sharp, fashionable look. White sneakers are a great choice to complement this style. 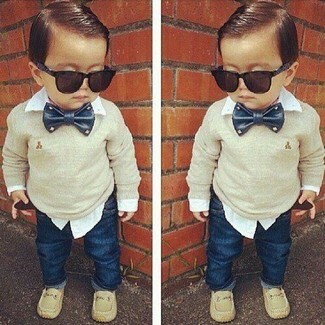 Suggest that your kid dress in a white long sleeve shirt and navy jeans to create a smart casual look. 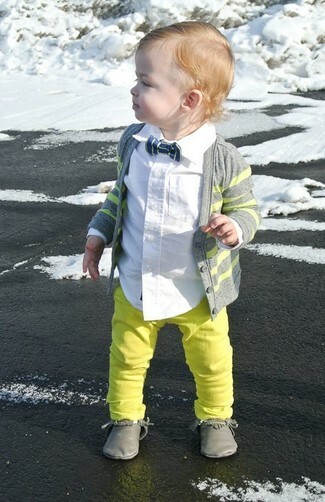 Green sneakers are a nice choice to complement this ensemble. Suggest that your little man reach for a Ralph Lauren cotton oxford pocket shirt from Ralph Lauren and burgundy jeans for a comfortable outfit that's also put together nicely. Dark brown sneakers are a smart choice to finish off this outfit. Suggest that your tot opt for a Ralph Lauren cotton oxford pocket shirt from Ralph Lauren and grey trousers for a sharp, fashionable look.